American Airlines has been granted a temporary restraining order to prevent Sabre Travel Network from burying the carrier's fare and schedule in its global distribution system (GDS), one of three large reservation systems used by travel agencies in the U.S. The court action is the latest development in a heated battle between American and the GDS companies over how travel agencies receive fare, schedule and other airline information. 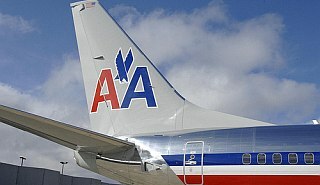 American wants agencies to receive the information directly from the airline via a newer technology connection than that used by the GDS companies. Sabre began pushing American flights farther down in search results last week. The battle also has led to the delisting of American flights in Orbitz and Expedia. The temporary restraining order will be in effect until the court considers American's request for longer-term relief. American filed a lawsuit against Sabre in Texas state court in Tarrant County alleging that Sabre's recent actions "violates agreements between American and Sabre and harms American, the travel agent community, and the traveling public." The airline said it will seek damages. Reacting in a statement, Sabre says it is "confident that our actions are well within our contractual rights, and we will aggressively defend against American Airlines' baseless claims to the contrary. We are confident that the court will affirm Sabre's contractual right to protect our customers' interests and support airlines that value transparent and efficient comparison shopping." Sabre maintains that American's plan for direct connections will make it harder for consumers to compare airfares. American and Travelport, the second-largest GDS company in the U.S., also are suing each other over the direct-connect issue. Read more on the AOL travel blog.